Based in London, Suresh leads Chubb’s Global and Large Account segment for UK and Continental Europe. He implements business strategy for the segment and oversees the structures, processes and performance metrics to ensure clients and brokers fully benefit from Chubb's risk and underwriting expertise and multinational network and services. Prior to assuming his current role, Suresh led Chubb Overseas General Insurance Division’s multinational and large accounts strategy where he assembled and oversaw cross-functional teams in Asia Pacific, Africa, Eurasia, Europe and Latin America. This included navigating clients through the complexity of multinational programs and delivering the company’s broad product portfolio, sophisticated claims and risk management services, advanced technology, regulatory compliance expertise and the network of local operations and partners in more than 190 countries. Additionally he led and managed the Global Client Executive Practice for Chubb’s Overseas General Insurance Division. He joined Chubb in 1999 and has held various executive level legal positions. 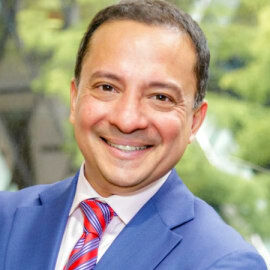 Most recently, he was General Counsel, ACE Group's Multinational Client Group where he had global legal oversight for matters connected with the ACE Group’s multinational products and services.